NanoRacks envisions a future in space where commercial outposts - today known as space stations and habitats - populate the solar system. Today, we are the only commercial space station company with existing customers, and a pathway to be operating in space, in the next five years, with realistic price points. Our organizational structure is hub and spoke. We believe in creating an ecosystem that feeds back on a commercially driven, customer-based, marketplace in space. made by re-purposing a spent upper stage in orbit. Outposts are the pillars of exploration, and we're setting up camp in the solar system. We'll start in low-Earth orbit, where NanoRacks continues to bring customers to market. We'll expand from there, following the market - and following our customers. Whether a hub for satellite deployment or for a luxurious hotel stay - your outpost is ready to launch. Decades of experience, building excellence. In November 2017, NanoRacks, along with SSL, a Maxar Technologies Company, Altius Space, and Space Adventures, proved to NASA that it is technically feasible to repurpose a spent second stage of a rocket while in space. This concept is known as a "Wet Lab," and was originally a concept from NASA's Marshall Spaceflight Center in the 1960s. 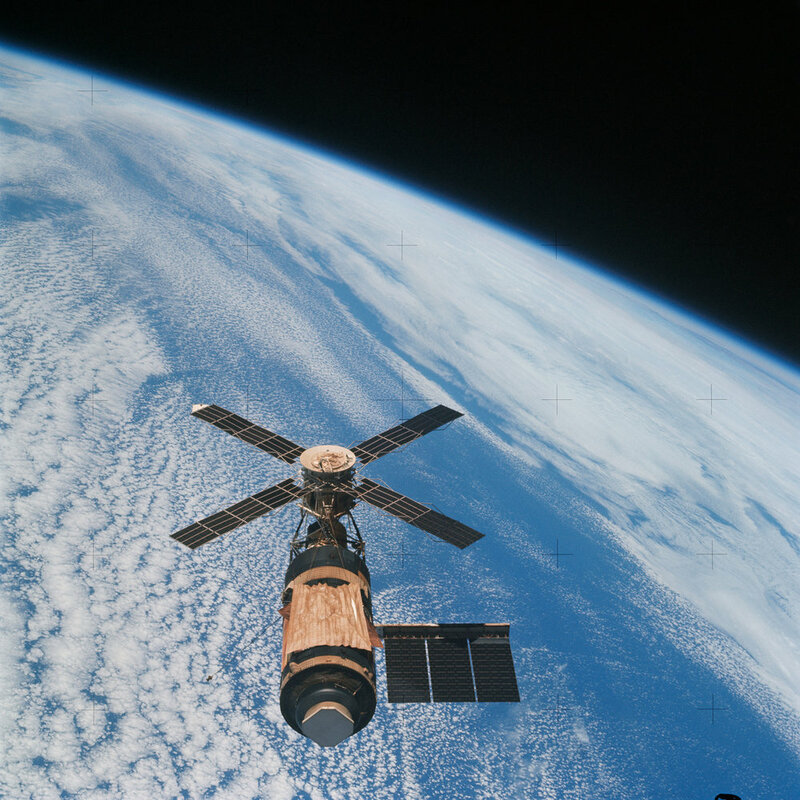 America's first outpost, Skylab, was made from a spent Saturn V fuel tank. It was manufactured on the ground, but an important stepping stone for re-using spent upper stages. 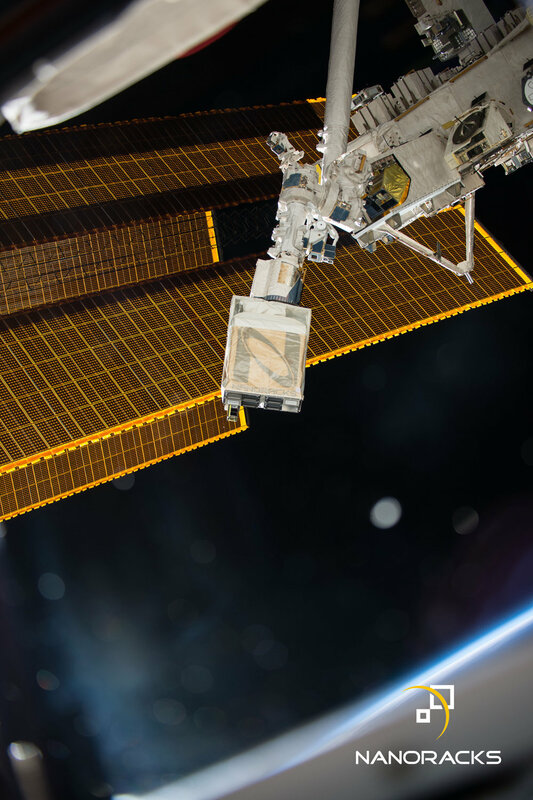 Decades of advances in robotics will allow NanoRacks to manufacture our outposts in space. SSL has analyzed the robotic systems required to build this structure in space. Made for customer needs - whether as a home, satellite deployment venue, or a research hub - we're ready for you. This cost-saving technique will revolutionize space exploration. Our first outpost will be INDEPENDENCE-1. The NanoRacks Space Outpost Program which was chosen to be part of NASA’s NextSTEP effort, successfully conducted a comprehensive feasibility study evaluating the conversion of rocket upper stages into habitats. This innovative approach offers a pathway that is more affordable and involves less risk than fabricating modules on the ground and subsequently launching them into orbit. Our team proposed demonstrating this revolutionary, low-cost concept via the conversion of a Centaur rocket upper stage which can either be attached to the International Space Station or serve as a free-flying outpost. Our first outpost, INDEPENDENCE-1, will serve as a proving ground for a variety of private sector activities leading to a new era in commercial low-Earth orbit (LEO) utilization. After being proven in LEO, the Wet Lab approach can be used to create deep space habitats from any future rocket upper stages, including the Space Launch System’s upper stage, which would provide a substantial amount of volume and capability for beyond LEO human exploration missions to the Moon, Mars, and beyond.